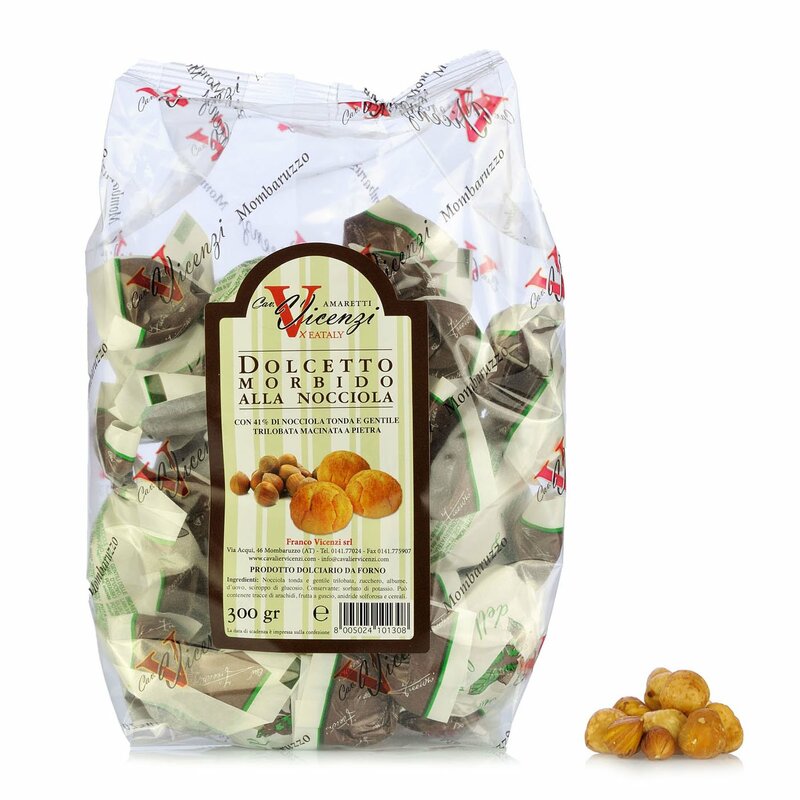 This Piedmontese speciality is made with 41% Tonda Gentile hazelnuts from the Langhe area. Cavalier Vicenzi exported Piedmontese specialities to the best pastry shops throughout the peninsula. Savour these pastries with sweet wine such as Moscato Piemonte or Asti Spumante, or with other types of liqueur wines. They also take some beating when enjoyed with a good bottle of Barbera. Ingredients Tonda gentile trilobata hazelnuts, sugar, egg white, glucose syrup. Preservative potassium sorbate. ALLERGENS: Eggs and egg-based products; Nuts (almonds, hazelnuts, walnuts, cashew nuts, pecan nuts, Brazil nuts, Macadamia nuts and derived products. For more information on product labels, please contact our Customer Service department. The information on the labels of the products may vary for reasons beyond our control, therefore, there may be discrepancies between the information on the site and that on the products delivered. Please always check the information on the product before consumption or use. Cavaliere Franco Vicenzi is celebrated for having exported the specialities of Piedmont to the best pastry shops throughout Italy. This delicacy is made with 41% Tonda Gentile delle Langhe hazelnuts, a protected geographical indication product from southern Piedmont.